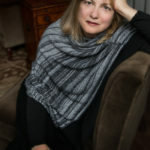 Alice Hoffman is an American novelist and young-adult and children’s writer, best known for her 1995 novel Practical Magic, which was adapted for a 1998 film of the same name. Many of her works fall into the genre of magic realism and contain elements of magic, irony, and non-standard romances and relationships. "All the characters in my books are imagined, but all have a bit of who I am in them – much like the characters in your dreams are all formed by who you are." "I think growing up is difficult and it’s a process that I’m always interested in, with kids and adults, they are often on two different universes." "I feel more influenced in my own work by dreams than I do by other writers’ works in a way. Or by popular culture, movies – what else is there to write about than love and loss?" "Mothers always find ways to fit in the work – but then when you’re working, you feel that you should be spending time with your children and then when you’re with your children, you’re thinking about working."